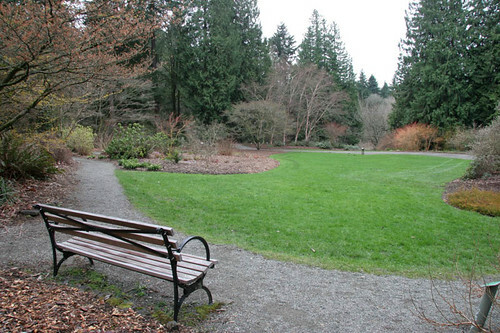 Winter is the time to slow down and savor your garden. 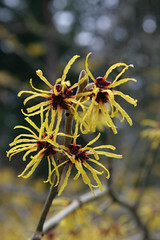 Select plants can enhance and bring interest into the garden in winter time. 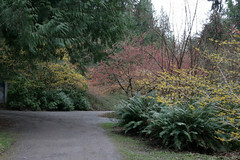 One of the best places to see what you can do with your garden in the winter is to visit the Witt Winter Garden in the University of Washington Botanical Garden. 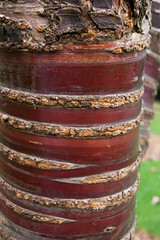 Deciduous trees will be leafless but the shape and bark are what are interesting in a Winter garden. 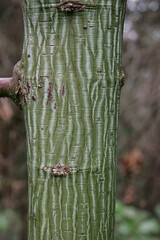 Tress such as Stewartia, Birch, and Cherry have stunning bark. 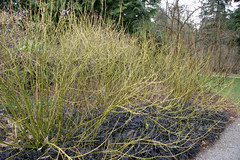 Twigs of the dogwood can brighten the garden with their fire or sunny yellow twigs. 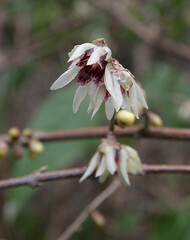 The bark of Stewartia provide an interesting contrast to small early blooming bulbs. 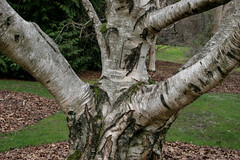 Birches with their peeling paper bark or white can brighten a garden on a gray day. 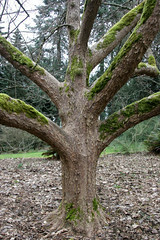 Also look for at the branches for interesting angles to bring structure. 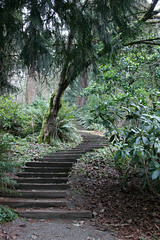 A walk around the garden will give you lots of ideas. 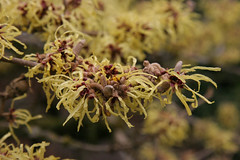 Evergreens bring a variety of shapes and even some color to the garden. 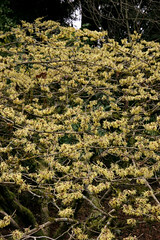 The gray tassels of the Garrya give the garden a festive appeal. Spiky leaves of Sarcococca ruscifolia add contrast along with their sweet scent. 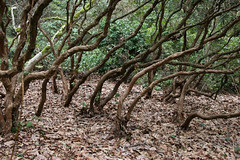 The glossy leaves of camellias will contrast to their pink and white buds. 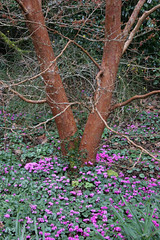 On the ground, cyclamen coum is the early bloomer with their cheery pink blossoms peaking above their heart shaped leaves. White and green Snowdrop bells are charmers. Hellebore bring a lot of interest to the garden with a wide range of chartreuse, tan and maroon shades along with their unusual shaped flowers, serrated leaves and interesting seed pods. There is a lot to see and contemplate in a winter garden. 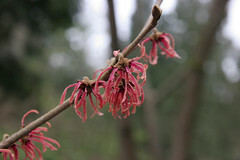 Slow down and let its magic brighten your February.